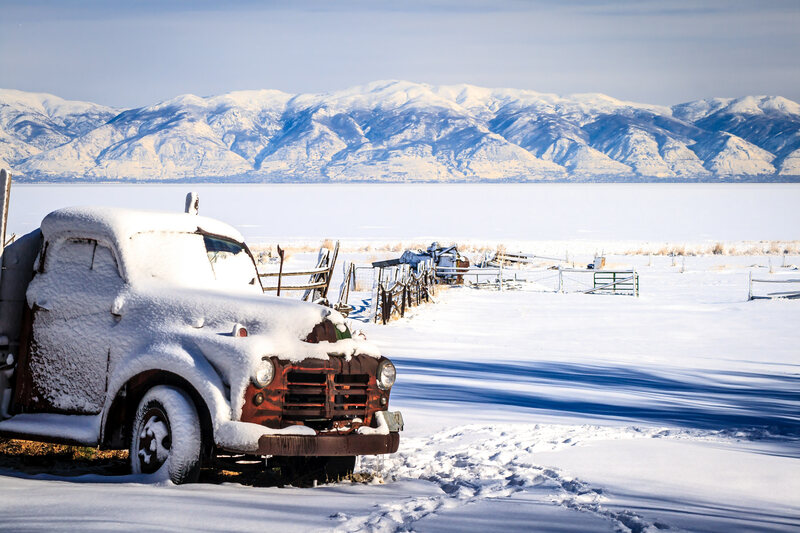 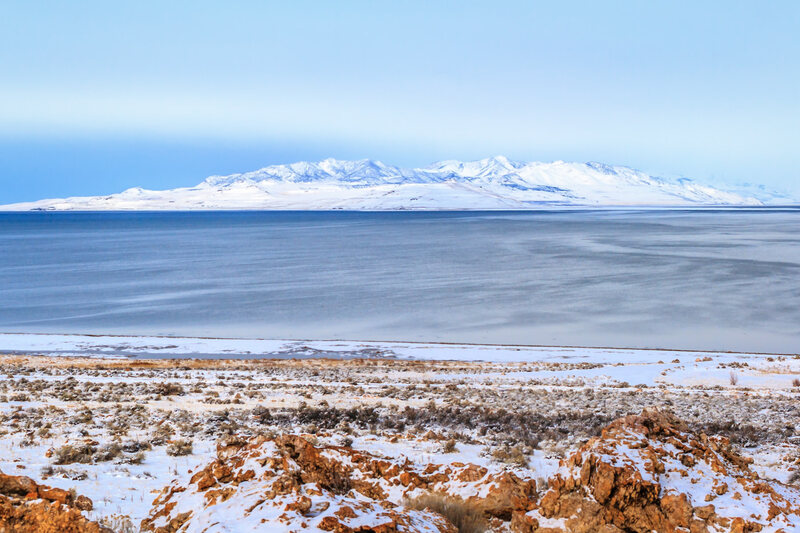 Mountains rise from the salt flats along the shore of Utah’s Great Salt Lake. 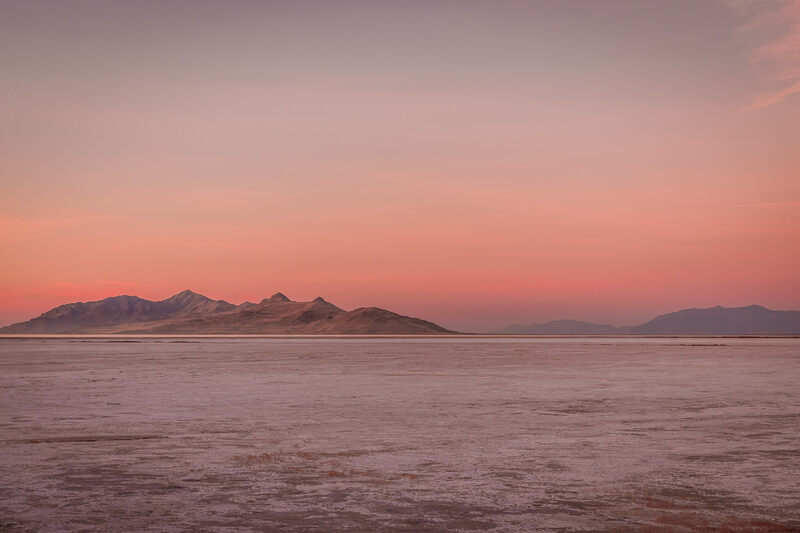 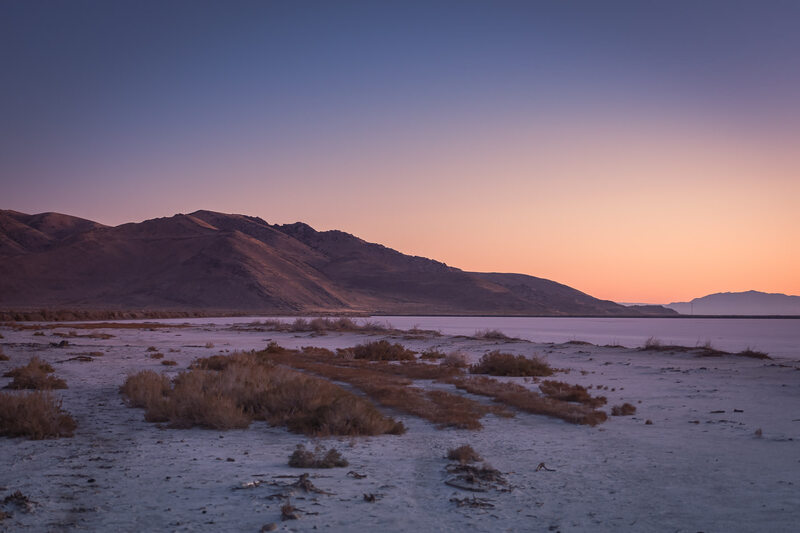 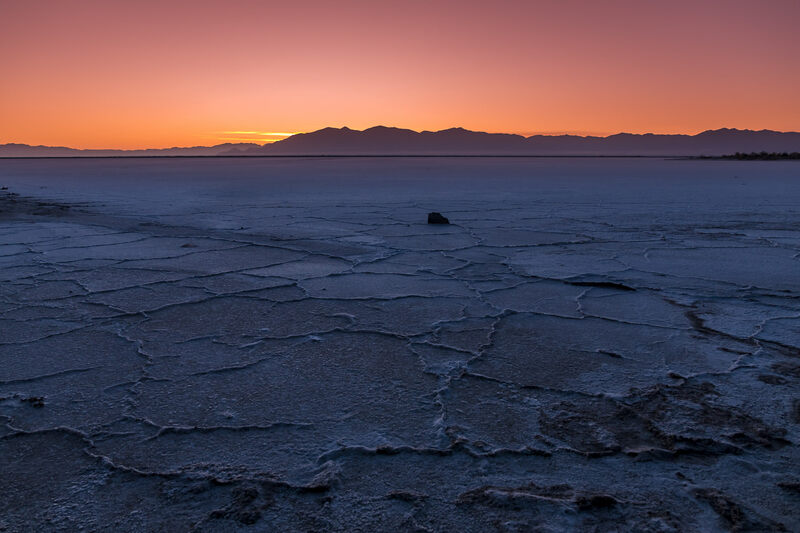 The sun rises on the dried salt flat shore of the Great Salt Lake, Utah. 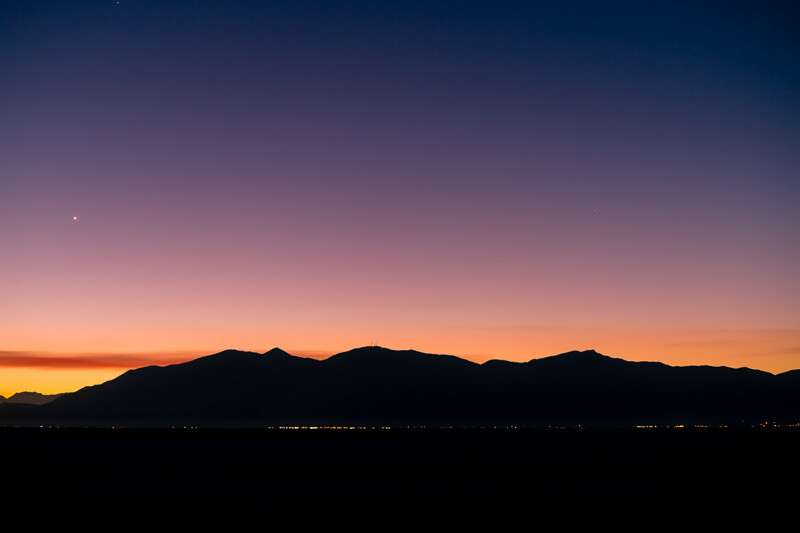 The sun rises on the mountainous Stansbury Island and the shoreline of the Great Salt Lake, Utah. 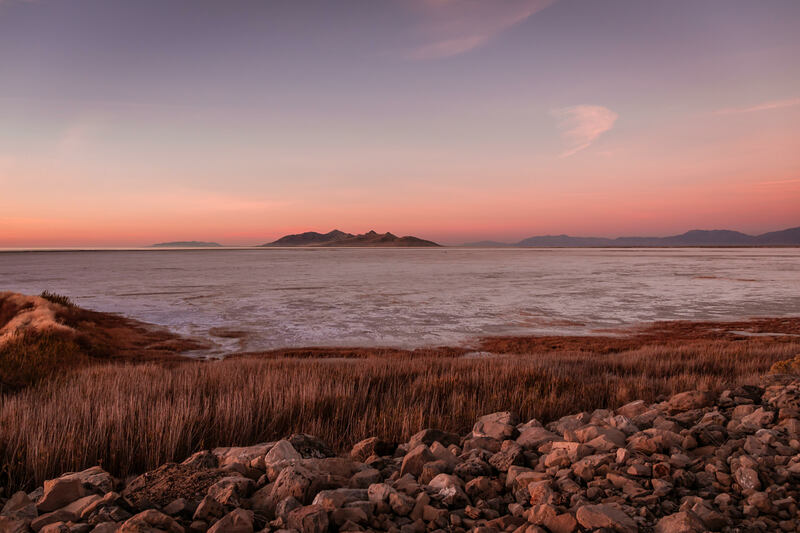 The sun sets on Utah’s Great Salt Lake. 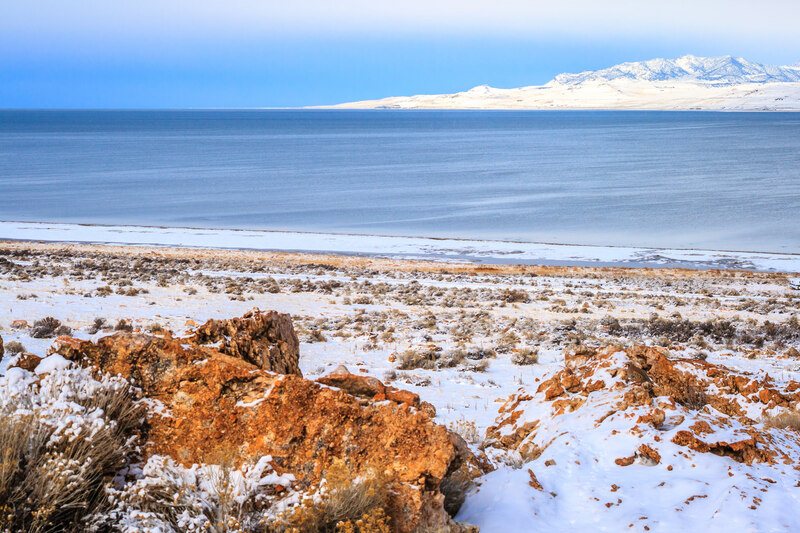 Rocks and brush protrude from the snow-covered landscape of the Great Salt Lake’s Antelope Island in Utah. 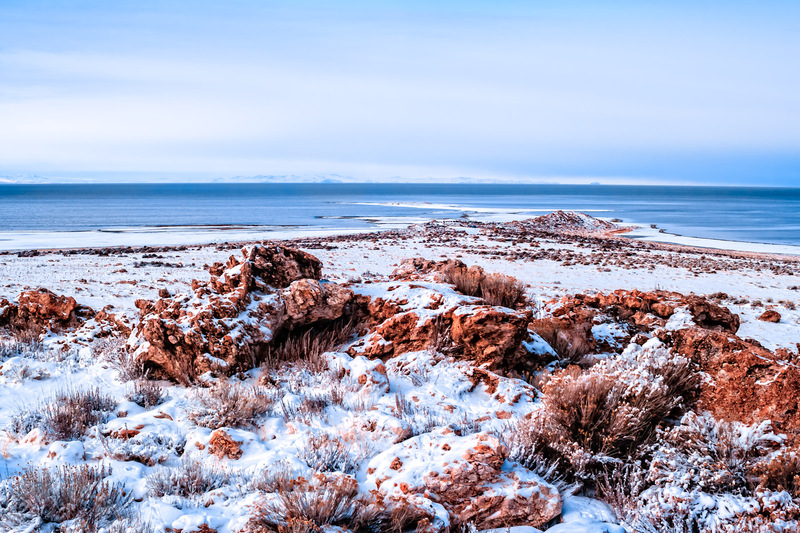 The brush-and-rock-covered winter shoreline of Antelope Island in Utah’s Great Salt Lake. 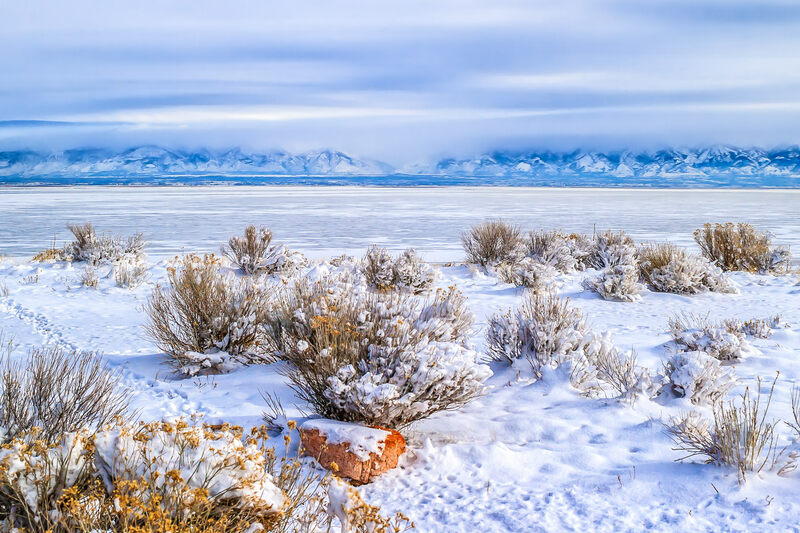 Frozen brush on the shore of the Great Salt Lake at Antelope Island State Park, Utah.